Are you a fan of Apple's wearables yet not impressed by the recently unveiled spring band collection (pictured below)? Are you anxiously waiting to hear anything about a third-generation Apple Watch? Well then, read this. 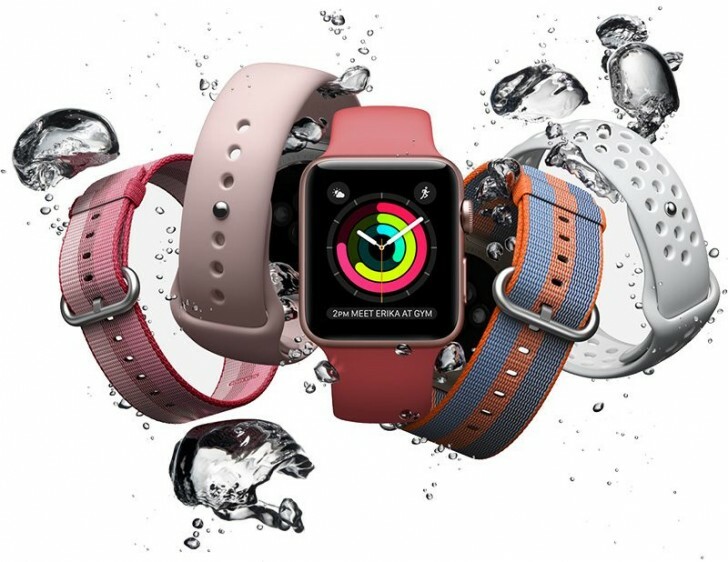 The Apple Watch Series 3 will be launched in the second half of this year, according to unnamed sources from the upstream supply chain. The features of the upcoming model haven't been detailed in this report, but previous rumors did talk about an unveiling taking place in the fall. Also from past leaks we know that the Series 3 should come with enhanced performance and battery life compared to its predecessor. The Series 2 got official at Apple's September event last year alongside the iPhone 7 and 7 Plus, so the Series 3 will probably be outed at the same time as the iPhone 8, 7s, and 7s Plus. LTE connectivity might be the big new addition to the Apple Watch this year, according to several analysts. As for looks, the next smartwatch is expected to be very similar to its predecessors. The Apple Watch Series 2 will remain on sale even after its successor launches, and some of the orders for last year's model will be given to Compal for the first time starting in the second half of 2017. The new wearable will be manufactured by Quanta, which right now is the sole producer of the Series 2 models.